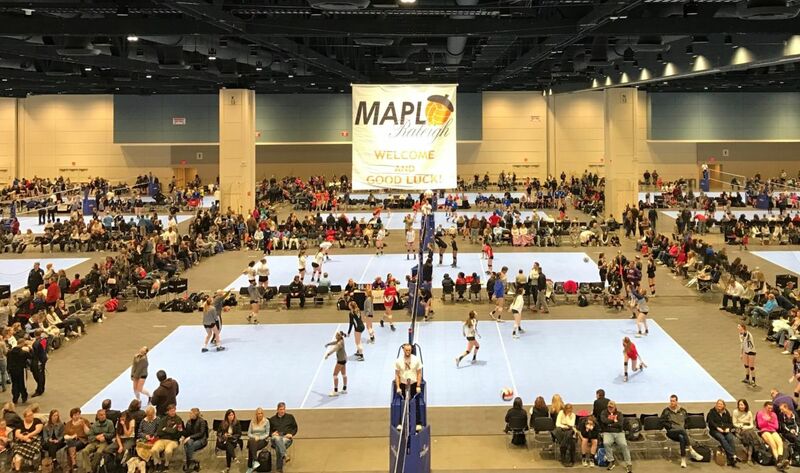 MAPL Raleigh returns March 10-11, 2018, hosted by the Triangle Volleyball Club. Two locations will be utilized: The Black and Blue divisions will play on 25 courts at the Raleigh Convention Center in exhibit halls A, B and C, the red division will play on 4-6 courts at Triangle Volleyball Club in Morrisville (9301-140 Globe Center Drive, Morrisville, NC 27560). MAPL Raleigh is sanctioned by USA Volleyball through the Carolinas Region.